Max Rockatansky (Tom Hardy), a survivor within a baron future Earth, is captured by the War Boys army who use him to provide blood for their ill solider Nux (Nicholas Hoult). Elsewhere, another survivor named Imperator Furiosa (Charlize Theron) drives an important fuel rig off course alongside the Five Wives, women selected by the War Boys to give birth to future soldiers. This alerts the War Boys leader King Immortan Joe (Hugh Keays-Byrne), who subsequently leads his armies on a deadly pursuit, dragging Max into the chaos in the process. 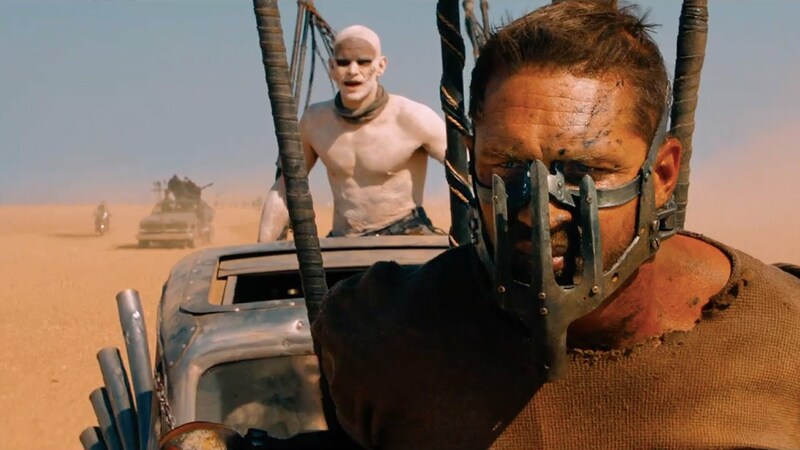 Despite being the first Mad Max film since 1985, Fury Road wastes no time explain it's narrative in an obvious fashion, with brief exchanges in dialogue helping to develop things as it goes on. This is good and bad in several respects - it can sometimes be hard to keep up with what's going on (it was hard enough for me to summarise it in the previous paragraph), but it also allows the pacing to continue swiftly with no hiccups or pauses to provide naught but obvious exposition. 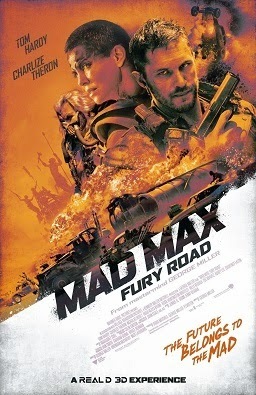 While it's hard to tell if this is a sequel, reboot, or even a prequel, the fact that it doesn't crucially rely on narrative elements from previous Mad Max films makes it more accessible to new viewers. The majority of Fury Road can best be described as one gargantuan action scene; however, this is by no means a bad thing, and it's nicely balanced with a confident ability to tell it's story. The action scenes are some of the best you'll ever see in a recent action film, with all manner of crazy chase scenes, epic stunts, dazzling effects, and some wonderfully choreographed battle scenes. It's briskly paced and extremely thrilling, resulting in a film that never fails to keep your attention, particularly when viewed in the gorgeous IMAX format. There's some stunning production design when it comes to all forms of the aesthetics; the makeup, locations, set design, and computer generated effects. The bizarre nature of this polluted world is wonderfully evoked in the makeup for the characters; emphasising deformities of the villains and even the protagonists in some cases. It's this beautiful focus on mise en scene and choreography that make the set pieces all the more exciting, and thanks to a significant amount of narrative backbone and rich performances, Fury Road is a rare action movie that can prove to be so much more than a brainless popcorn flick.